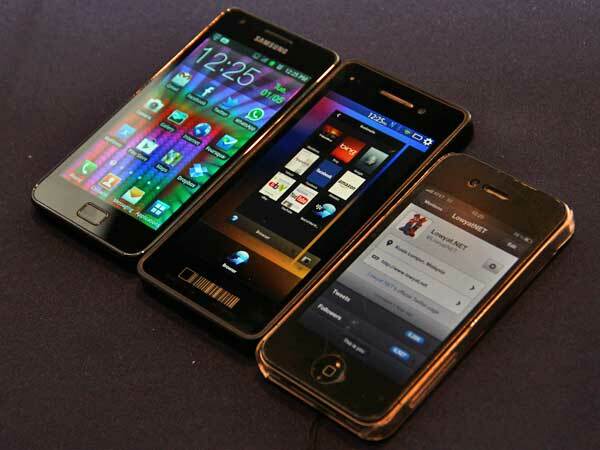 The first thing that strikes you is the bright and sharp screen. So far, we know that it's a 4.2-inch 1,280 x 768-pixel (WXGA) display, but not the type of screen or pixel layout. That brings the device's pixel density to 355 ppi, which beats the iPhone's 326 ppi Retina Display hands down. Many have dubbed the Dev Alpha a mini Playbook. The full touchscreen form factor is similar and the Dev Alpha is made from the same matte black material that covers the PlayBook's back. While we're on the topic of RIM's tablet, the Dev Alpha seems to be running a barebones OS that's reminiscent of the PlayBook OS 2.0. In fact, checking the prototype's software version shows "PlayBook OS 10". 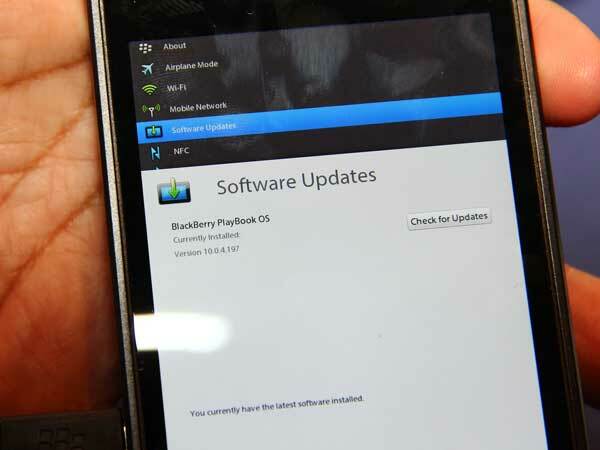 Since BB 10 is going to be QNX-based, there are going to be some similarities between the PlayBook OS 2.0 and the next-generation operating system. However, Smith adds that what is seen on the Dev Alpha now is not reflective of the final UI, which will actually look more like Live Tiles on Windows Phone. This being a prototype device, the software was buggy at times, and didn't always detect our fingers. Also, there are no preinstalled apps except the camera and browser. We didn't get to test the amazing time warp function, where you can scroll a few frames forward or backward to get the best shot. All images that were shot via the front- and rear-facing cameras also simply disappeared off the screen. At first glance it doesn't look like much, just a standard layout with not many options for dual-functions. When you start typing, though--that's when the magic happens. Each letter you tap will cause the phone to display suggested words above the letter it thinks you're most likely to type next. I tried my hand at banging out a few messages and I often found myself staring right at the word sitting on the tip of my tongue. It's honestly an uncanny feeling, almost as if the device was reading my mind. 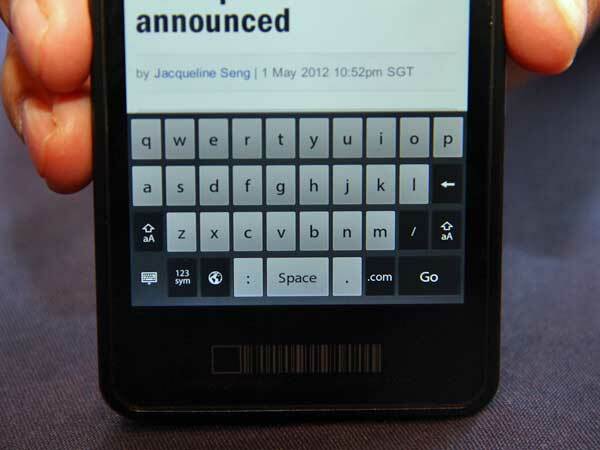 In addition, there's the ability to swipe upwards on predicted words to add them to the message body. The new keyboard is supposed to help you to input text more efficiently, as well as use a modelling algorithm that will tailor itself to your typing habits over time. It's similar to what's already on the PlayBook, only more intuitive to use. 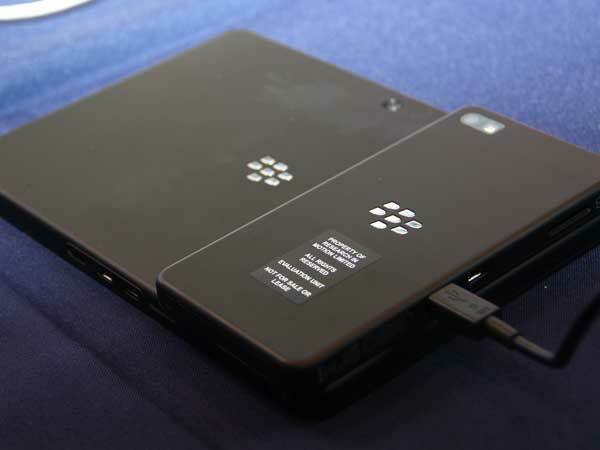 Finally, you'll find the microSD slot, microHDMI and microUSB ports on the left side. The Dev Alpha packs some 16GB of non-expandable onboard storage and 1GB of RAM, as well as a non-removable battery. Connectivity-wise, there's the usual suite of options like Bluetooth, Wi-Fi, Internet tethering and near-field communications (NFC). Unfortunately, there isn't a SIM card slot. 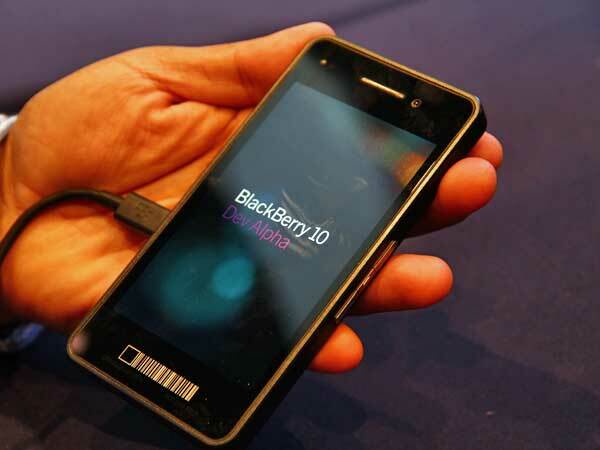 To see the keyboard, and other features on BB 10, click on the video below.